As the partial government shutdown stretches into its 34th day, many of the 13,000 federal employees in Montana who are furloughed or working without pay are looking for ways to bolster their income. On Wednesday morning, Martin DeWitt drove his son to wrestling. Then, he opened up shop from his Dodge Ram, a hardy vehicle for Billings’ recent snowy weather. 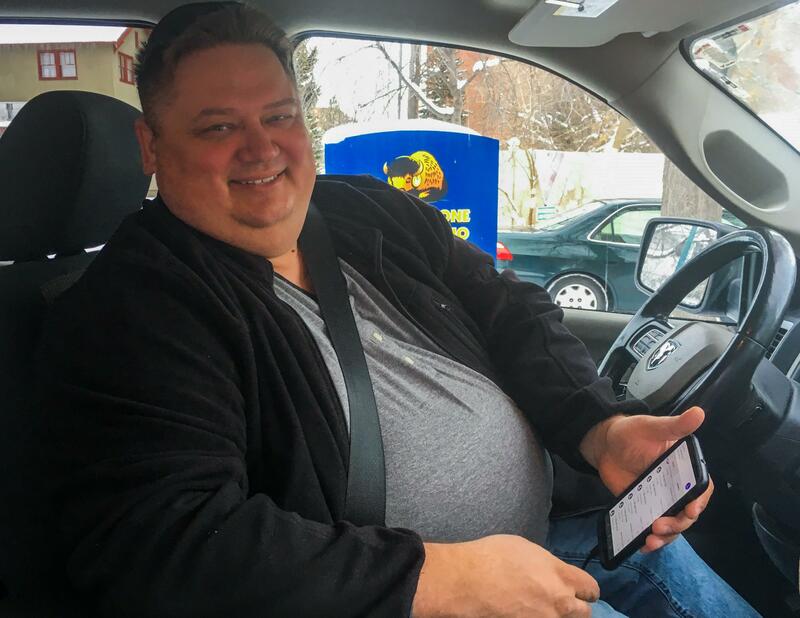 Before the shutdown, DeWitt supplemented his income from the U.S. Department of Agriculture by driving for Uber at night. Now, he drives Uber during the day, too. “I’ve got four kids and paying for bills, and making sure your family eats and everything, that makes you a little bit nervous,” said DeWitt. His wife is a teacher, which helps, as does driving Uber part-time, which will also allow him also to collect unemployment. But he’s trying to earn extra money where he can. He said he’s still not making the same income he had before the shutdown, and he’s losing money on gas driving for Uber. DeWitt said he expected the shutdown to end a couple of weeks ago, but he remains optimistic. He said he’s grateful for some of the businesses who are offering assistance to furloughed federal workers, including one of his banks in northeastern Montana. Western Bank of Wolf Point vice-president, Jerald Peterson, said they’re offering cost-free and interest free loans to furloughed workers who have direct deposit. A number of other businesses are offering deals to help furloughed federal employees make it to the end of the shutdown, which Martin DeWitt hopes will be soon. He said he’ll really start to feel concerned if he can’t return to his job a few weeks from now. He hopes government leaders can reach an agreement. “Just help us get back to work,” said DeWitt. The Montana legislative session kicked off this month, and one group wants to make sure that young people are paying attention. A loose-knit, ever-evolving group of Republican legislators is making waves and causing headaches in the 66th Montana Legislature.